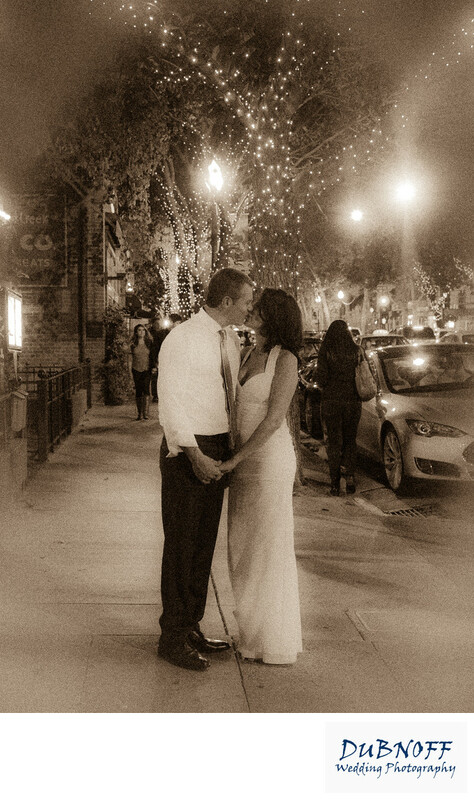 We always enjoy taking our wedding couples out to the street in the evening. We try not to use too much flash because we want the picture to look natural. In the photo above, we added some grain in Photoshop to help create a nice feel to the image. We also do this with San Francisco City Hall photos which is one of our specialties.